PROLOGUE: Mumbai Local – Stories From The Lifeline Of Mumbai. A series of short stories that explores the life of a citizen in a local train. Stories, about relationships, about culture and about the undying spirit of the people, just like the lifeline of Mumbai itself. Some real, some experiences, some fictional and many mere an observation. The many a faces, that seem strangers, draw me close to them. Some ambitious minds, some deceived, some real, some fake. Some young, some old, some hot, some cold like stone. I am one among them, and that’s what draws me more close to them. That’s what draws me towards their face, because every face has a story to tell. If it would have been any other day, the ladies compartment wouldn’t have entertained any male members. But considering the peak hour rush and the unapologetic crowd at Kurla station, the ladies had no choice to accommodate three people, two males and one woman, who by their appearance didn’t look any close to being desi. Yes! They were foreigners who had accidentally boarded the ladies compartment and climbed with precision as the train slowly moved from the station. The lady among them was a Chinese and the two men were probably Americans. Dressed decently, they got stared from the railings that separated the gents and the ladies coaches. A few men on the other side mumbled in Gujarati that they were new to the city and didn’t know what to do in the situation. Meanwhile, the ladies were happily interacting with their newfound friends and giving them updates about the city and its erratic weather. They also said that the three were lucky to get into the compartment, as they never entertain unwanted guests. A lady also hinted that she could make out that they were not the ‘regular’ ones and so made an exception. Else, she would have certainly shooed off the men who wouldn’t have been half decently dressed as them. It was clearly obvious that the two men inside the compartment were embarrassed, while their Chinese companion happily chose to capture the Indianness and the Aamchi Mumbai feel on her phone. With the ladies compartment having three new guests, the otherwise dull morning had truly become a refreshing one. Each person was talking about the new visitors in a language that was completely alienated to the three. Do people in other countries also speak the same way when we visit their country? Do we also experience such a situation outside India? Meanwhile, as Sion approached, the men with utmost respect asked the ladies to excuse them. “Extremely sorry to have got in here and caused embarrassment to you all. Kindly excuse us. Thank You!”, they said and boarded the adjacent compartment, while the Chinese lady continued to be happy in clicking more pictures. Those weird glances, those lusty stares and those creepy smiles truly must have made her feel that she has committed a grave mistake, a sin that is unforgivable. But she was hapless. New to the city, no time to walk-in to the adjacent ladies compartment, lost in a chaotic morning rush of moron-like people rushing to catch the trains as if there is no tomorrow, she hurriedly boarded the train just as it was leaving the platform. “Ek second aur der karti, toh gir jaati”, said a passenger giving a stunned expression. She was courteous enough to lend back a smile. “Kya karoon, itni bheed hogi andaza nahi tha. Ab aadat daalni padegi”, she said as sweat trickled down her face. “Where do you need to get down madam?” asked a young man, probably in his early twenties, single and most certainly chatting with his girlfriend on WhatsApp. “KURLA”, she said. Four stations on, it was time for the penultimate challenge. Kurla had arrived. As more passengers jostled their bulging tummies to get inside, not allowing other passengers to get down, the young woman managed to wade her way through the exit. Meanwhile, the man who tried to indulge in sweet-talks with the lady realised that something was amiss. Oh damn! His expensive iPhone 6 was not in his hand. He panicked, shudder at the thought of losing a part of his life. He checked his trouser pocket but to no avail. As he walked by, an old man patted his back and asked him to look towards the bridge and pointed to someone calling out to him. The man looked and found that the lady in the train waived him with his iPhone, and she soon disappeared into the crowd. She was the PERFECT CONWOMAN! While last year it was Vikas Bahl’s ‘Queen’ that came in as a huge surprise, this year undoubtedly is the Varun Dhawan and Nawazuddin Siddiqui starrer ‘Badlapur’ that is going to make headlines. Sriram Raghavan, after the ‘Agent Vinod’ debacle, churns out a film which is an example of what fine film-making is all about. Rarely one would find an actor, who is just three films old, who would take up a challenging role, and pull it off strikingly. Rarely, in Bollywood, one would find a story-screenplay so nicely written and rarely would you find a character like Liak, played earnestly by Nawazuddin Siddiqui, whom you empathise with more than Raghu (Varun Dhawan). That’s the power of a film like ‘Badlapur’. The sheer unpredictability of its characters, the transition that each one undergoes in the 2 hrs and 15 minutes of the film and the catharsis that one experiences through Raghu’s revenge in the penultimate moments. Since the time Sriram Raghavan made ‘Ek Hasina Thi’, he has always had a knack of having grey characters. And that continues with ‘Badlapur’ as well, wherein even the least important character, with no major role to play in the film, springs up a surprise. And such small insights make ‘Badlapur’ a riveting experience. Coming to the story, Raghu loses his wife Misha (Yami Gautam) and his son, who are killed under unfortunate circumstances after a bank robbery. While it is obvious to assume who is behind the robbery, Sriram Raghavan lets the audience think and ponder even as Raghu vows to take revenge, despite meeting his wife’s killer/s. He keeps you hooked till the last fifteen minutes with several twists and turns that spring up huge surprises. It goes without saying that ‘Badlapur’ is Sriram’s finest work after Johnny Gaddar. The sharp writing (Sriram Raghavan and Arijit Biswas), the sleek editing (Pooja Ladha Surti), the top notch cinematography (Anil Mehta) and exemplary performances from the lead cast makes ‘Badlapur’ one awesome movie experience. A haunting background score by Sachin-Jigar also makes it more engaging, adding soul to the dark revenge saga. Of the female leads, Huma Qureshi impresses with her seducing act, followed by Divya Dutta and Radhika Apte. Yami Gautam as Varun’s wife has a small role but plays it with conviction. Varun Dhawan, in just his fourth film, impresses with his performance and plays Raghu’s character with so much maturity. It is good for an actor of his stature, who has so far played subtle roles, to do a film like ‘Badlapur’, which gives him so much scope as an actor. One cannot ignore the expressiveness of the actor and his desperation to seek revenge. Varun Dhawan is lucky to grab an opportunity, a film like ‘Badlapur’, so early in his career. But personally, if ‘Badlapur’ raises its bar as a film, it is because of Nawazuddin Siddiqui and his character Liak. Liak is what keeps ‘Badlapur’ moving. Unpredictable, wicked and menacing is what could sum up his character. He again proves that one does not need a villain, dressed in dapper suits and superior in style to carry of a film. Sometimes being the wicked poor man may just win more brownie points! Final Verdict: ‘Badlapur’ is a cathartic revenge drama that has only raised the bar of the films made in Bollywood. We need more of such films. It’s a film that surely deserves a watch! Having screened at the Directors’ Fortnight section at the 2013 Cannes Film Festival and received rave reviews, there is obviously a huge expectation from a film like ‘Ugly’, directed by Anurag Kashyap. And to be honest and really honest, the efforts of the ace director need to be appreciated for bringing out such realistic performances from almost all its lead characters. It is rare that an Indian film (the last I remember was Chandni Bar (Madhur Bhandarkar) and Kashyap’s Black Friday) is so realistic in its treatment and execution. ‘Ugly’ is probably one of those few films that breaks the rules of the typical Bollywood style of filmmaking. Yet, in spite of being extremely realistic, hatke in style and having some really nice cinematography, the experience is merely satisfactory. Kali (excellently played by Anshika Srivastava) gets kidnapped when her father Rahul (Rahul Bhatt) leaves her inside his car when he goes to collect a document from his friend. Rahul’s friend Chaitanya (Vineet Singh) tells him that his daughter is missing. When Rahul comes to the police station to lodge a formal complaint, he is confronted by Inspector Jadhav (Girish Kulkarni) who finds out that Kali is Shalini (Rahul’s divorced wife/Tejaswini Kolhapure) and ACP Shoumik Bose’s (Ronit Roy) daughter. Kali’s kidnapping gives Shoumik a chance to take revenge from Rahul for an incident of the past and he leaves no stone unturned to find his daughter back. And this is where ‘Ugly’ is ugliest in terms of Kashyap’s storytelling. However, certain scenes in the film seem overstretched, especially when Inspector Jadhav questions Rahul over his ‘filmy’ name. While it infuses a laugh with its natural humour, it stretches a tad too long. Similarly, a scene where Chaitanya is interrogated in prison is reminiscent of a scene in Black Friday. And the biggest disappointment is the climax. Watch it yourself to experience! For all through the 1 hour and 50 minutes, ‘Ugly’ treads along with certain twists and turns and keeps one at the edge of their seat. But it is the last ten minutes where ‘Ugly’ is a complete anti-climax. ‘Ugly’ stays true to its title and offers one plenty to ponder. Anurag Kashyap weaves magic with his actors, but sadly tells a story with too many loose ends. A little back story of the characters wouldn’t have done any harm. While Anurag Kashyap did release a five-minute short film ‘Kali-Katha’ (Watch it on YouTube) which gives a glimpse of Rahul, Shalini and Chaitanya’s character, Shoumik’s back story isn’t unveiled at all. At the same time, certain disjointed plot points leave one with a little more to think. There are no white characters and no black characters in ‘Ugly’. Each character has shades of grey. And this keeps the thrill factor of the film alive. Girish Kulkarni as Inspector Jadhav gets a perfect launch in Hindi Cinema. Having directed and acted in several National-award winning films in Marathi, Girish proves his mettle as an actor for the first time in Hindi cinema and he doesn’t disappoint a bit. It’s a terrific performance that deserves more than just applause. Rahul Bhatt who was last seen in a dud called ‘Nayee Padosan’ makes a comeback after almost twelve years in a role that seemed tailor made for him. Tejaswini Kolhapure as Shalini gets a role that will surely be talked about. Siddhant Kapoor is good in a small role. Vineet Singh (Shorts/Bombay Talkies-Murabba) is the surprise package of ‘Ugly’. For many who would have seen him in a restrained role, be prepared to get surprised. 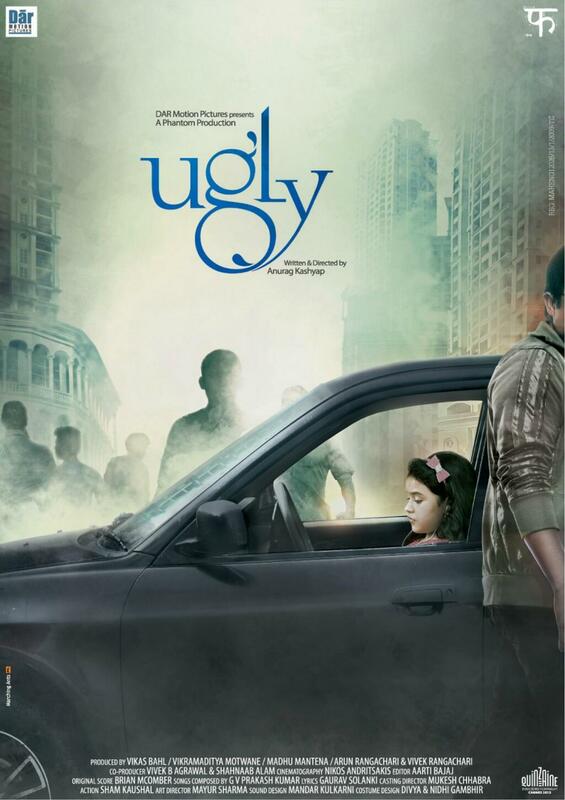 But ultimately ‘Ugly’ for me is all about Ronit Roy’s act as Shoumik Bose. 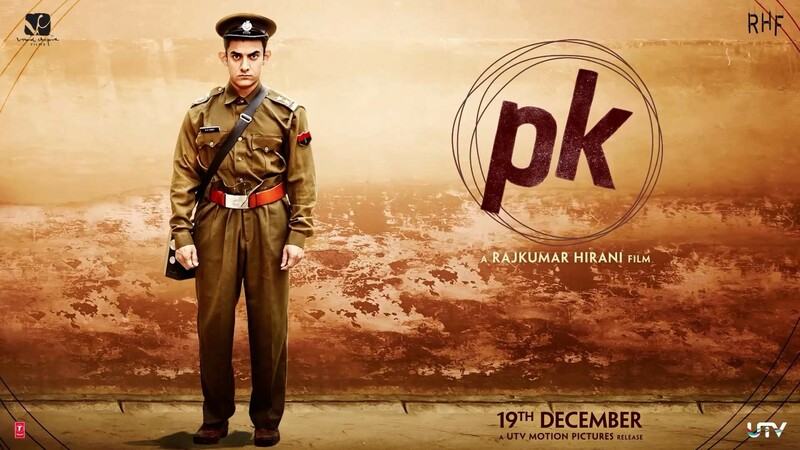 The actor, surely has had a strong second innings in Bollywood as compared to his early days. After working with Anurag Kashyap in Udaan as the abusive father, Ronit Roy once again delivers a performance that speaks volumes of him as an actor. With less words and more expressive eyes, this one is surely a performance worthy of some awards. And finally Anurag Kashyap. While many claim to say that the director just lost his way post Gangs Of Wasseypur II (which was his most commercial venture till date), the filmmaker returns to his roots of making dark, gritty films. While ‘Ugly’ might not be his best since Black Friday, it is surely a well-made film. A diehard Anurag Kashyap fan may just not be able to miss this one. And being an admirer of his work, I look forward with much eagerness for ‘Bombay Velvet’! Final Verdict: ‘Ugly’ is a gripping film that stays true to its title. But in the end, it is such an anti-climax!